Howard Sherman, Sportsmanship is for suckers (detail), 2013. Acrylic, Marker on Acid-Free Paper 85 (vertical) x 74 (horizontal) x 8 inches. 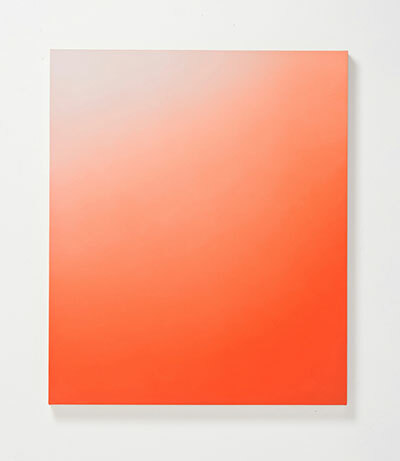 Kristen Cliburn, Invisible Mountain, 2013, 32″ x 38″ acrylic on canvas, Gallery Sonja Roesch. 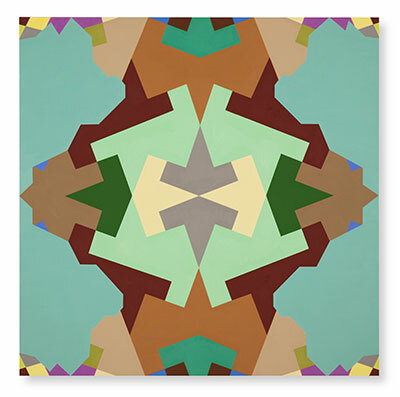 Since its inception, Abstraction has been considered an international movement. But within the larger movement were schools of thought which, while still adhering to aspects of abstraction as a whole, were essentially regional. 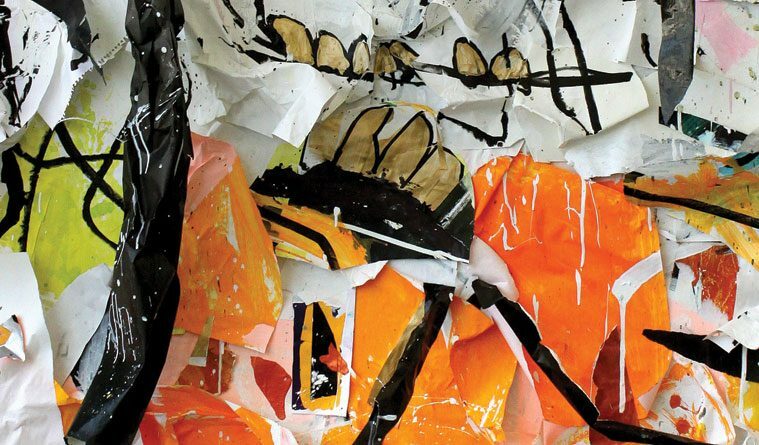 Although many abstract artists maintain that Abstraction is a community, there is widespread interest in exploring the artists of the movement who lived outside of its more globally recognized regions and schools. Among these people are Michael Paglia and Jim Edwards, authors of the recently published tome, Texas Abstract: Modern & Contemporary. The book is essentially the culmination of Paglia’s two-plus decades of research, undertaken with the intention of authoring a book on contemporary art in the American West. 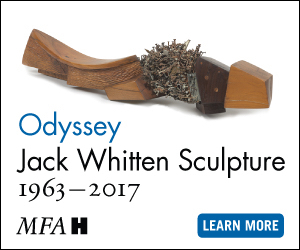 It was that interest which led him to a specific exploration of contemporary art in Texas, and served as an introduction to the early abstract artists who worked in Texas from the 1930s to the 1960s. After curating the artists for the book, which showcases work from both historical and contemporary Texas artists, he turned his research over to Edwards, who weaved the disparate parts into a cohesive whole with thoughtful, informative bios on each artist. 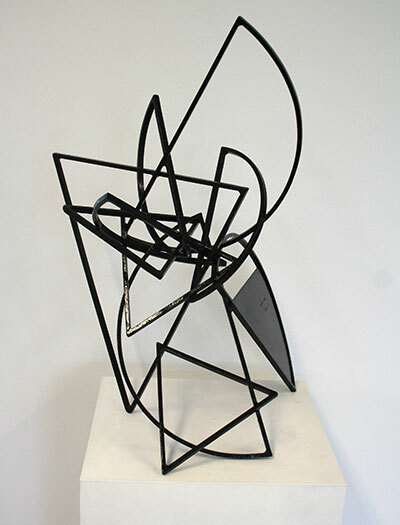 Mac Whitney, Manzano, 2006, black painted steel, 27″ x 15″ x 18″, Gallery Sonja Roesch. Still, while the book is a great presentation of artists and their individual practices, it begs the questions: What role did Texas play in the international Abstract art movement, and what role do Texas abstract artists play now? The latter is easier to answer, as it merely requires an understanding of the present. Many Texas artists, curators, and administrators maintain that Texas has a strong, vibrant, and growing arts community that deserves more recognition than it gets. While this is likely to be how anyone feels in the arts outside of New York City, Los Angeles, or Chicago, Paglia contends that there are numerous artists across the state who deserve especial recognition, which he hopes the book will afford them. “In every case, the idea was to exemplify each artist’s signature style,” Paglia offers in the book’s Curator’s Statement. Leslie Wilkes, Untitled. Photo courtesy the artist. As for the historic role of Texas in Abstraction, Paglia had little to say as to whether what happened here could qualify as a school of thought, the way New York artists were unified under the umbrella of Abstract Expressionism. He did, though, offer a brief history of the movement as it occurred in Texas, and some insight into what really happened in the state over the last century. Abstraction as a global movement is thought to have begun in Europe in the first half of the 20th century. Following the rise of the Nazis, many artists sought refuge in the safety of other countries. Some taught at universities, and others immersed themselves in the scenes of their new homes. In whatever capacity they could, they began to influence the artists of these regions. What Paglia found in his research was that Texas artists began to exhibit the influence of Abstraction in the 1930s, when the movement began in the United States. This means that while other regions were slower to adapt, Texas was on the early curve of the movement, showing a pace similar to that of New York. Howard Sherman, Gradeschool headshot, 2013. Acrylic and Marker 70 (vertical) x 60 (horizontal) inches. He also found that Texas artists, including some of those showcased in the book, were quite advanced in terms of non-objective abstraction. As a side note, Paglia mentioned that in the same period, other Texas artists were holding onto representational and figurative styles much longer than those in other regions. He speculated that its tenure was likely the product of Texas’ conservative audience. This, in part, was why the history of the movement here piqued his interest: In such a conservative place, abstraction was flowering and strengthening in the artistic community regardless of how counter-intuitive it may seem. 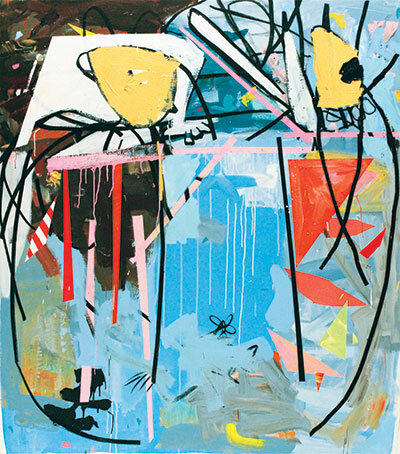 Artists were driven to create what he thinks to be some of the most cutting edge work produced in Abstraction, Paglia specifically cites Houston artists Robert O. Preusser and Gene Charlton as examples. It seems General’s wish is coming true. On April 18, Houston galleries Gallery Sonja Roesch and ArtScan Gallery will put on their own version of the Texas Abstract exhibition, splitting the show between their two spaces and presenting a stunning range of work within Texas abstraction.